Former ‘Last Chance U’ star, De’Andre Johnson is transferring from Florida Atlantic to Texas Southern. The Tigers announced the move during their National Signing Day promotion. 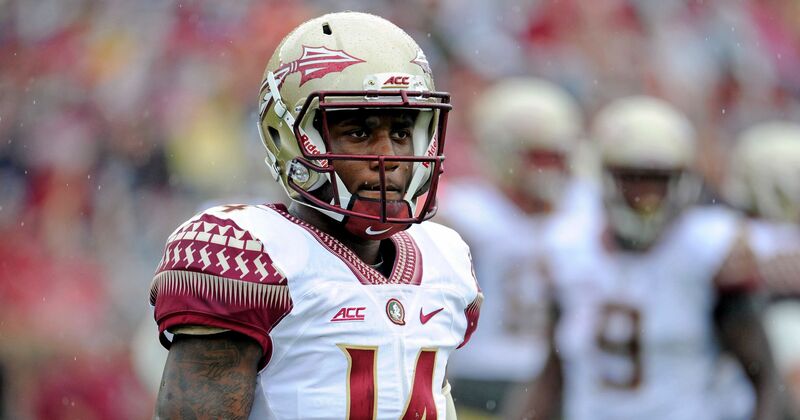 The former three-star quarterback first enrolled at Florida State in 2015. After punching a woman at a Tallahassee bar prior to the start of his freshman season, he was dismissed from the program. In 2016, he played football on the JUCO level at East Mississippi Community College; as depicted on the hit Netflix show “Last Chance U”. He completed 60.6 percent of his passes and tallied 2,645 yards and 26 scores in 11 games played. His play and the show’s spotlight boosted him into joining the Florida Atlantic football program. Johnson did not find much success under Lane Kiffin, not seeing any starts at QB during his Redshirt Sophomore and Junior seasons. He announced his intention to transfer late last year. “I would like to thank everyone at FAU for the opportunity to play college football,” Johnson wrote on Twitter. “But most importantly, to obtain my degree from an incredible university. I have no future comments at this time but ask that you respect my decision as I figure out the new path God has planned for me”. Well he found his path and is headed to H-Town. Johnson will be joining a program that’s looking for their first winning season since 2000. Texas Southern University just landed a young man who has the potential to become one of the greatest quarterbacks in SWAC history. He’s a great young man, despite the one mistake. I know him personally, and he won’t disappoint. Proud of him, and wish him the best! *All The Way From Fifth Ward,Texas…I Salute! 2019 Welcome To Houston! Play Every Down As If It Were Your Last…And Instantly You Will Be Remember By Present Presence, And Not Your Past! *From This Opened Door Opportunity…Can’t Nothing Stop You, But You!